Legends Of The Dancefloor "A Piece Of Paradise" - Reflections from New York City's highest table. Interviews with Michael Linder, Vince Aletti, Nicky Siano, Judy Weinstein and Tom Moulton. Interviews with Michael Linder, Vince Aletti, Nicky Siano Judy Weinstein, and Tom Moulton. Five voices from the mount who saw the beginning from the floor up, created change and rode with the wave through the disco daze past the Millennium. Legends Of The Dancefloor - A Piece Of Paradise - Two Towers, Levan & Crocker own NYC. Nine interviews from the movers and shakers of Manhattan during those halcyon days from the 70's through to today. Larry would have been 57 years old today had he not succumbed to heart failure due to his narcotic addiction. One of his career highlights in his short 38 years was his remix of Gwen Guthrie's song "Seventh Heaven" for Island Records. Tonight we are given a close perspective of Larry from two of his co-DJ's and the artist who's record Levan remixed to success. 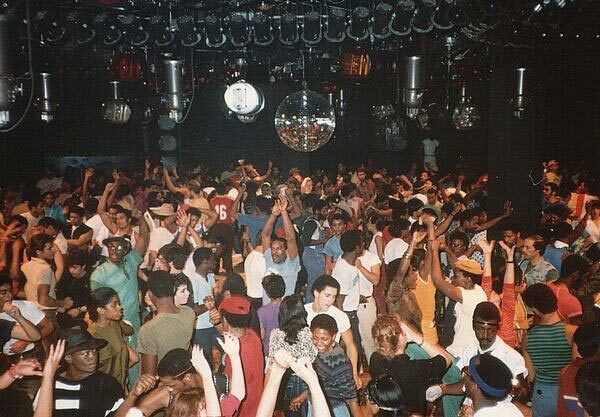 Highlights from the second Birthday of Paradise Garage which has been described as the prototype of the modern dance club closed in September 1987 and was the base for the legendary DJ Larry Levan. The club was founded by Michael Brody and located on King Street in the Hudson Square area of New York. It ran from 1977 to 1987 and derives from its origins as a parking garage. Some of the people who performed at Paradise Garage include Dan Hartman, Divine, Gloria Gaynor, Jocelyn Brown and Grace Jones.